Every program we have started in Old Harbour is to introduce people to the Church and to Christ. This includes Houses of Mercy, Child Education Sponsorship, and Sport's Ministry. Based on the research that we have conducted, there is a significant need for early childhood learning opportunities for families in the Old Harbour community, where less than one child in four are able to attend a pre-school program. Thus, these children are not adequately prepared for school and quickly fall behind. 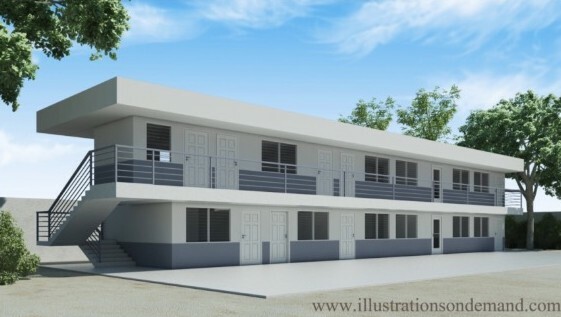 Artist's rendering of Phase 1 that is designed to house 144 students. The total remaining need for the school's start-up budget is $57,000. A detailed listing of Start-up items is contained in the last two pages of our Business Plan for the school. We are asking individuals, churches, and groups to consider a $25 monthly commitment to SonShine Christian Academy. All contributions help cover the operating costs of the school which includes teacher and administration salaries, utilities, facilities, and infrastructure.